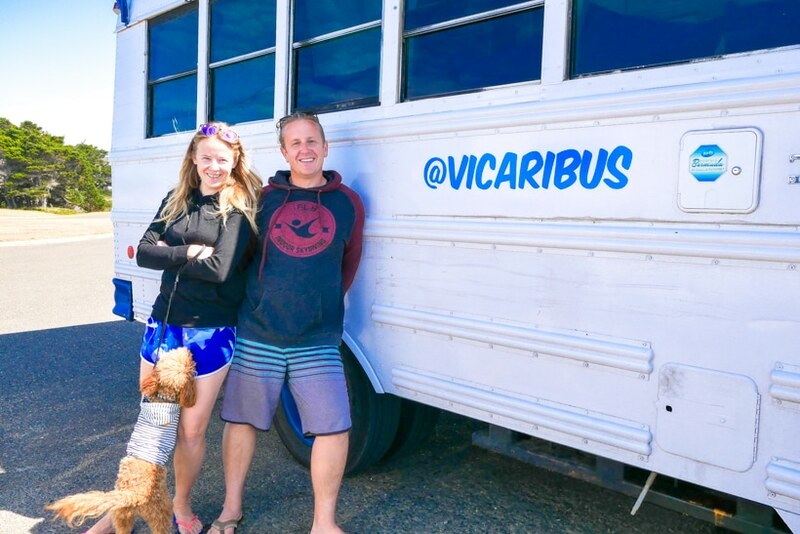 This summer I met Heather, Nick, and Miles, who owns a school bus conversion (also known as a skoolie bus )called Vicaribus, at the Xscapers convergence in Oregon and then we accidentally ended up on the Oregon coast at the same time and started traveling with each other all the way to California. 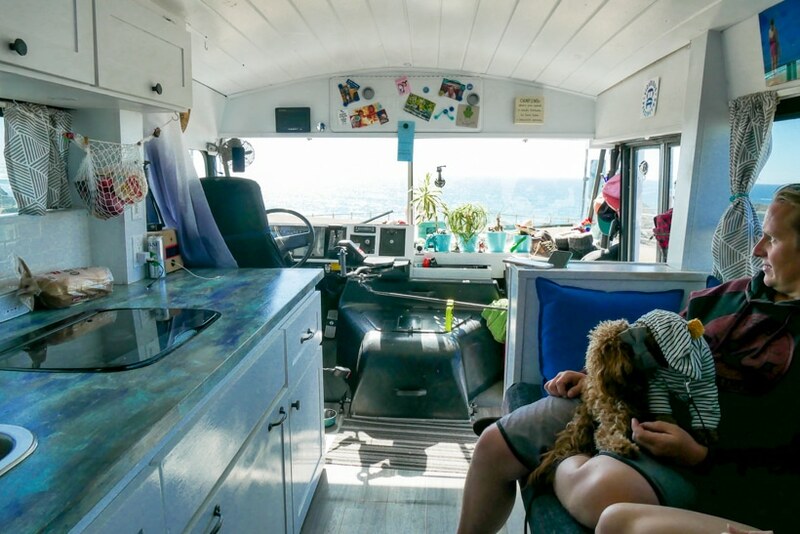 They converted a 1998 Thomas Vista school bus into their tiny home on wheels after completely gutting it and starting from scratch. 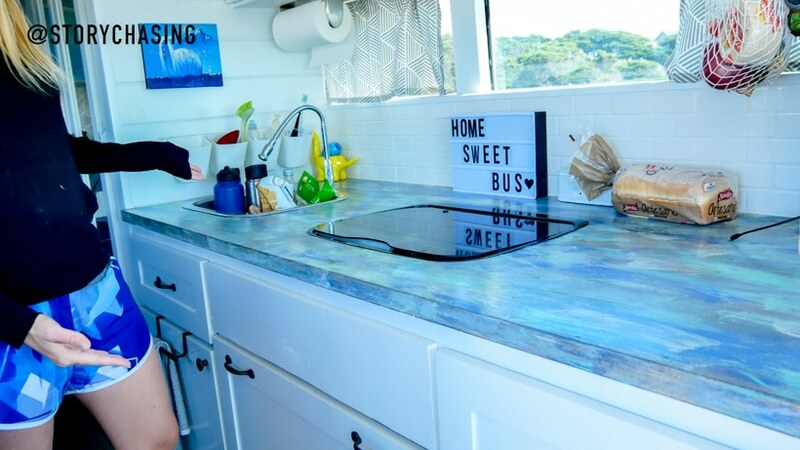 I was super impressed with their school bus conversion skills and how they were able to design a tiny home that suited their needs for Heather's love of cooking in the kitchen and Nick's need for a remote workstation. Of course, you can't forget Miles, their fur baby, who needs lots of room to play and jump around into their arms and lap. Seriously, Miles is the star of this conversion bus tour! 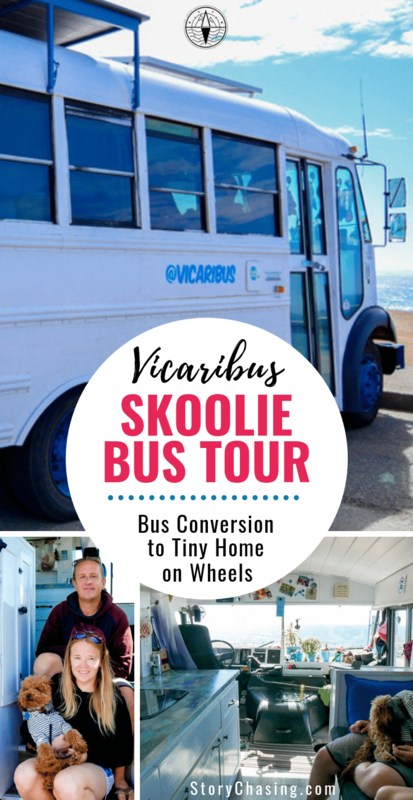 Tour their Vicaribus skoolie bus to see their school bus conversion and how they made a skoolie into a tiny home on wheels with solar panels and a composting toilet. 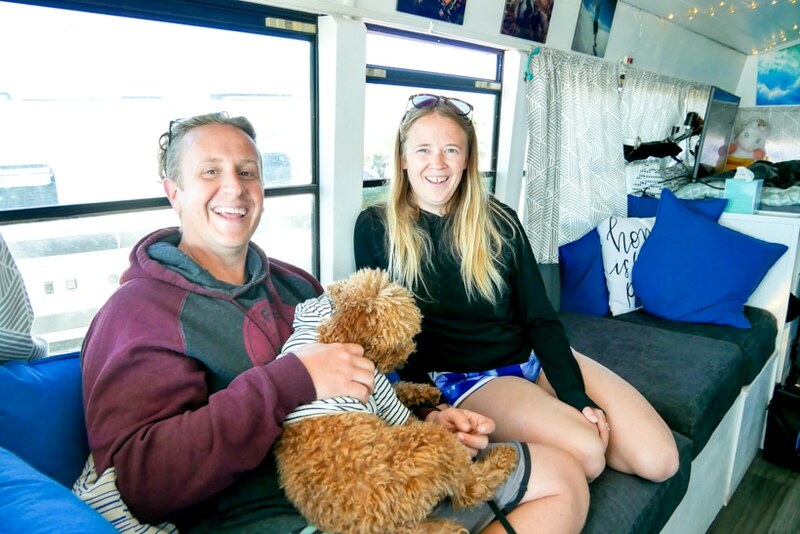 They have taken school bus living to a whole other level, so if you are looking into a school bus tiny house and want to do your own DIY skoolie conversion then check out Nick and Heather’s school bus home conversion. 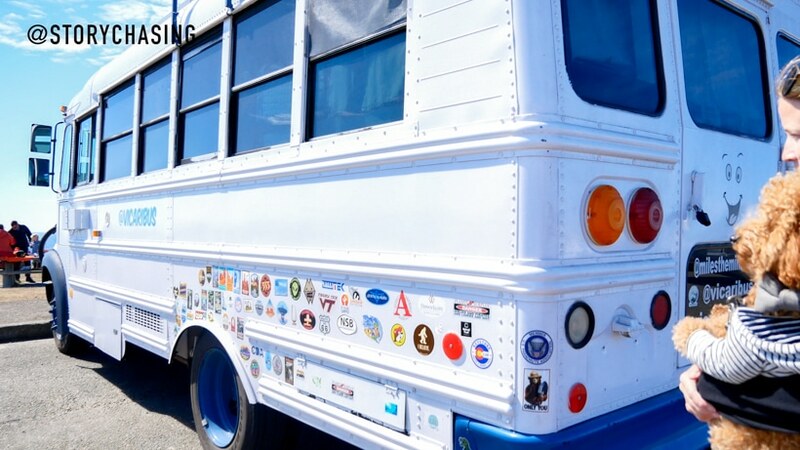 School Bus conversions are becoming very popular since you can purchase a used school bus fairly cheaply and then perform your own DIY school bus conversion into your dream tiny home. Whether you want to drive it around or keep it stationary is up to you but a great alternative for a home that has the outside prebuilt and then you only need to design and build out the inside. 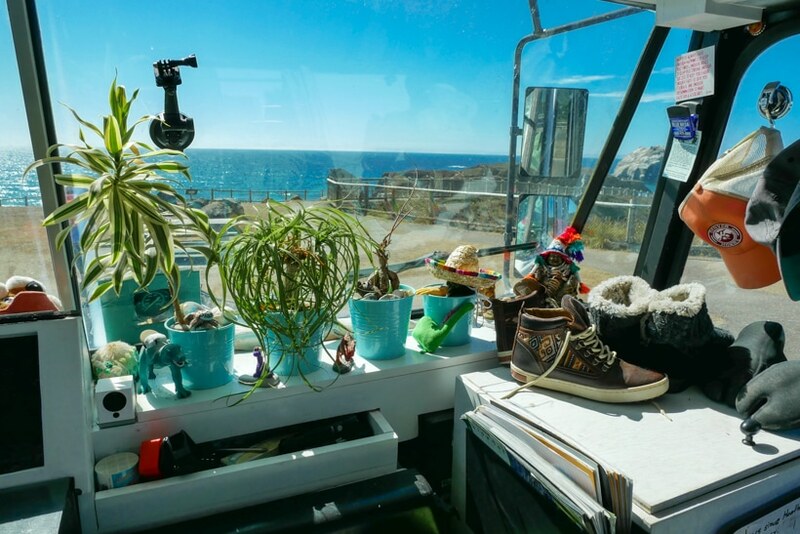 As we neared the California border, I had to ask them if I could film their school bus conversion and interview them about life on the road so I could show you all how cool this bus is and also give you a glimpse in what you can do if you're looking into tiny home living and traveling. To see the whole interview I suggest watching the video, but I've paraphrased and summarized some areas to make it smoother for reading. Amber: Okay, guys. You have heard me talk about Vicaribus a couple of times, Heather, Nick and Miles. We are going to do a school bus conversion tour with them today. 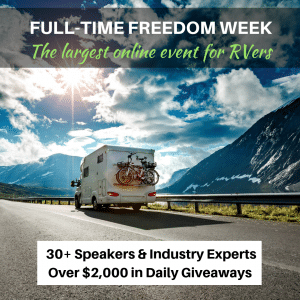 They're going to show you the inside and the outside, and talk to you about why they started down this road of full time traveling, and how they are actually able to do full-time travel and still make an income because they're not retired yet. Amber: So this is Nick and Heather and Miles from Vicaribus. 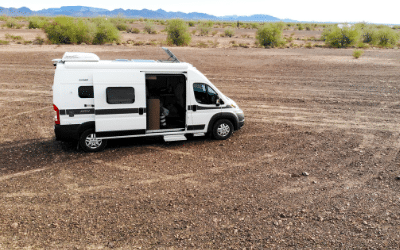 Why don't you tell us a little bit about yourselves, why you decided to go full-time RVing, or busing? Nick: We were in Denver for a few years, and we had both done a good bit of travel. We decided it was time to maybe take it to the next step, the next level. 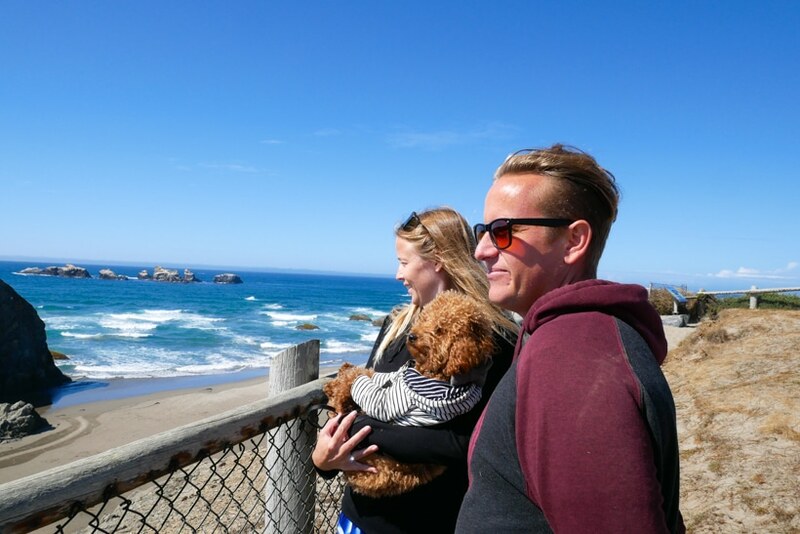 We'd go full time for a while, and check out a lot of the West coast areas west of the Rockies that we hadn't seen before. 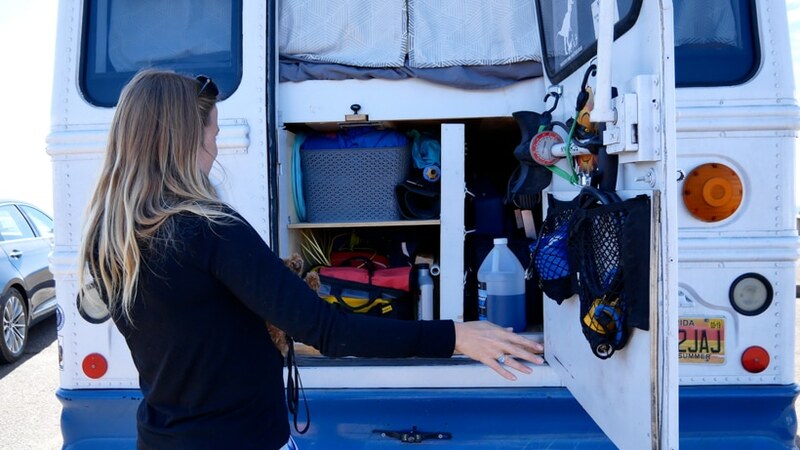 We actually never looked into RVs at all. Heather: We went straight into the bus idea. Amber: That's the non-traditional way of going into RVing. 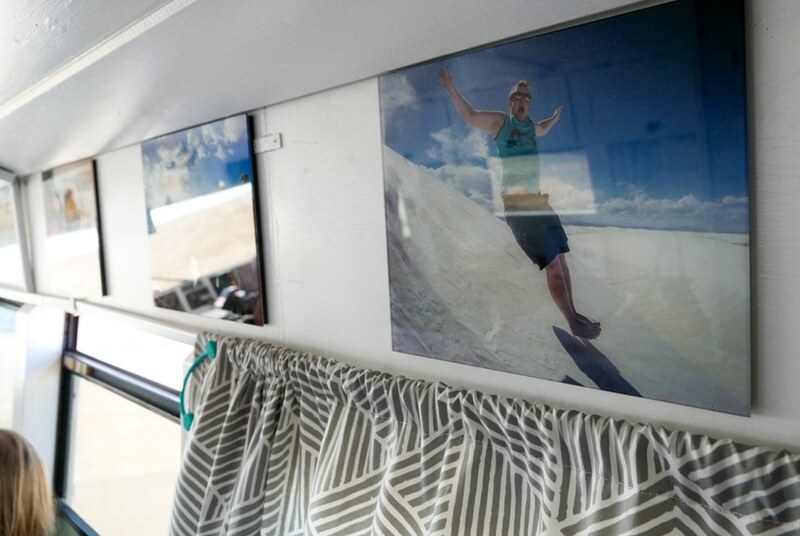 Nick: I think we didn't really check out our first RVs until we bought the bus and were building it out. 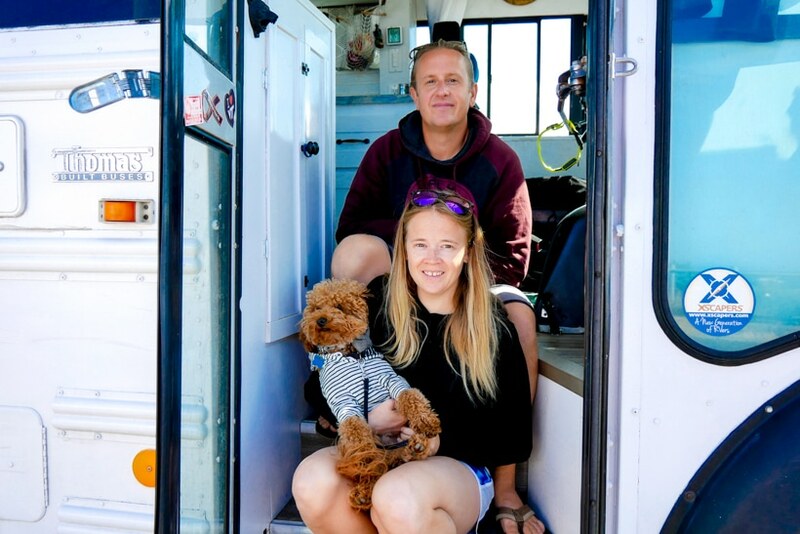 We looked at RVs, and were pretty happy we decided to build our own out, because we didn't know exactly what we wanted and how we wanted it so custom building was better for us. It's been great. Heather: We don't even remember whose idea it was to live in a bus first. Whoever said it, the other person was immediately like, “Yup. Let's do it.” Nobody needed to convince anybody, so we don't know who thought of it, or how we came about the idea. It just kind of happened, and then we went full speed into it. Amber: Well, it's good that you both agreed on it. Nick: No, there wasn't a lot of convincing needed. Amber: So who actually designed the inside, or was that a collaborative effort? Heather: It was a collaborative effort of mostly me telling Nick what I wanted, and then him telling me whether or not it was possible, and me yelling at him a lot about me wanting the kitchen as big as possible, which is pretty much how it went. He did 95% of the manual labor, maybe even 98% of the manual labor. Amber: Did you have any previous experience with building out, or custom work like this? Nick: I'd done a few smaller projects, like woodworking stuff, and I've done a lot of stuff. I've always been pretty hands on, like figuring stuff out. It was another one of those figure it out as you go kind of things. Amber: That's amazing. So tell us about the name of your bus, and your branding for it. You have a blog and YouTube channel? Heather: Yeah, I don't think you asked me about it at all. Amber: So you want to show us the outside of the bus now? Do you have solar panels? What kind of a bus it is, year? Nick: So it's a five window, 23 foot, Thomas Vista, 1998. We have two panels on the roof to combine solar of 330 watts. The very back is a large and spacious deck where we hang out and check out stars, or sunsets and stuff like that. Amber: So wait. 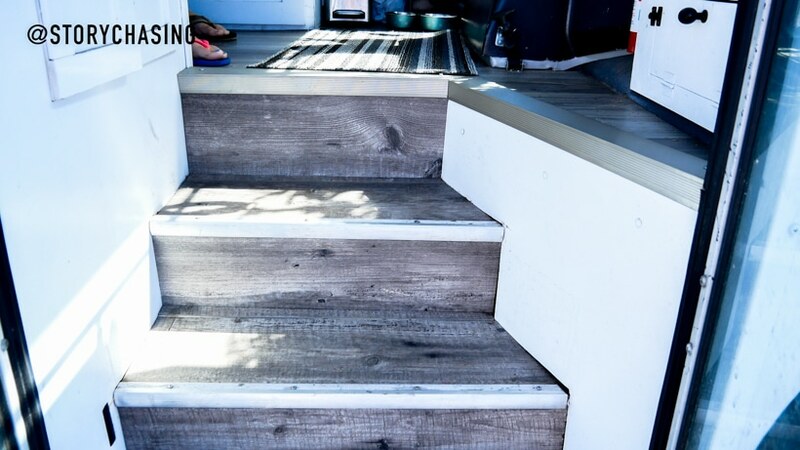 You built a deck on the top of your bus? Nick: Yeah, it was actually the first thing we did when we got it. Amber: It's the coolest feature, right? How do you get up there? Nick: We have a collapsible ladder. It's like a telescopic ladder, and it's awesome. Amber: That's very cool. So the windows, are these the original windows? Nick: Yeah. A lot of the bus conversions, the way they're cut out, some of the windows are lock out. Seemed like a lot of work, and we wanted as much light and visibility as possible, so we left all the original windows in. Amber: Your solar power, how much solar did you say? Nick: It's 330 watts of solar. Amber: Does that seem to work for you? Nick: It's pretty good. We could probably go a little bit more now that we're on the Pacific Northwest. We get a lot more cloudy here, foggy days. We have a 200 amp hour lithium battery, so it charges pretty quick and we can discharge pretty low. It's pretty low space requirements for that battery. It does us pretty well. We haven't had too much trouble with our set up. Amber: That's great. And inverter? Nick: We have a 2000 watt charger inverter, so our power system, our battery can charge through shore power, alternator, or the solar. I think the longest we've been on just solar is about nine days. We usually try to plug in every week or so, about once a week, or less if possible. We get a nice, full, deep charge. Amber: Yeah. Do you have a generator? Nick: We do not have a generator. So far it's been fine without it. I'm sure there's probably been a couple instances where it would have been nice to have, but we didn't want to rely on that, and have somewhere to store it. 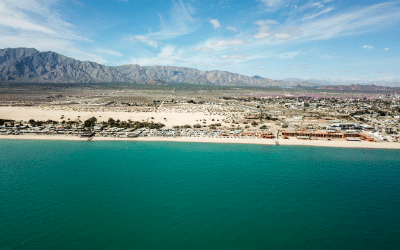 Amber: So because you don't have a generator and you only have about nine days of power through solar, you're boondocking what percentage of the time, versus being hooked into shore power? Heather: Probably about 50/50 of having power or not having power, or being camped out or not being camped out. But even sometimes we'll stay in a campground that's dry camping, and we're still using our solar in that situation. Amber: What's the smiley face about? Nick: It was a sticker I found on a Chinese website. I was ordering some stuff and decided to get a couple. Nick: I didn't know where to put them, so I put one on the back of the bus and then one on our toilet. Heather: This is all just storage. Nick: It's under the bed in the back. Heather: Yeah, this is our bed, and then this is just all outdoor stuff and our utility stuff and our ladder and chairs and grill. Heather: Windshield washer fluid, and the sticker Nick put on the wrong side of the window, so you can only see it from the inside. Amber: Yeah, it looks pretty spacious. Heather: Yeah. That's like most of our storage. Amber: There's the back side of the deck. What's that up on the top left? Nick: Yeah. Picked that up since we hit the West coast. I didn't know if I would, but after spending a weekend at a spot with a great break and no board, I decided I had to get one, so I went and found me owning one. Heather: He's used it six times already. Nick: Yeah. I've caught 5 waves. Amber: Nice! Nice collection of stickers. This is every place you've been? Heather: Every place that we've been that we bought a sticker at. Heather: Some of the ones on this end are some of our favorite places before we left. So right here starts our actual travel journey. Amber: A lot of places. Heather: All those in just under five months. We haven't really been going slow. Amber: So have you ever RV'd or traveled like this before? Nick: I did probably, I guess, six or seven, eight years ago now? I lived in an old Ford panel van that I converted, that I lived in by myself for a couple of years, on and off a couple of years and traveled. Not nearly to the level as this thing, but I did that. 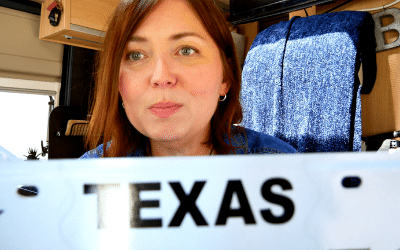 Heather: We've done a lot of just general travel and like cheap travel, and frugal international travel and all of that, but this is our first, really, RV experience. Amber: And Miles' first time? Heather: Miles has grown up on the bus. He was an itty bitty puppy when we got the bus, so he was there for the whole conversion. He's been living in it. He doesn't really know life without the bus. Amber: All right. So they are going to show us the inside of the bus now. Heather: People really like our stairs, for some reason. Heather: I don't know, but any time we post a picture of them, people go crazy. They're just stairs, so make sure you get lots of footage of them because that's what the people will like. Amber: I will. It's going to be this thumbnail now on the video of the stairs. Oh, bottle opener. That's important. Heather: Bottle opener, although we tend to keep buying cans because they fit in the fridge better. Heather: … and then we use screws that we put into the floor and against the door to prevent the fridge drawer from opening and kill us while we're driving. Amber: So the fridge is a freezer, or refrigerator, or both? Heather: It can be either one, but it can't be both at the same time. We only use it as a refrigerator. It is directly wired into our 12 volt system and runs on the solar. The frame of the cabinets and the counters and all the general build-out we did ourselves, but then the cabinet faces we ordered from an online place that we just gave them our dimensions and the style we wanted. They shipped them to us, and then we painted them. They came as just a raw wood color, and then we put all the hardware on. Countertop is actually a door, and we painted it and sealed it so we completely made that ourselves. Can't find anything like it anywhere. We even have a tile back splash, because why not? Amber: That's real tile, or vinyl? 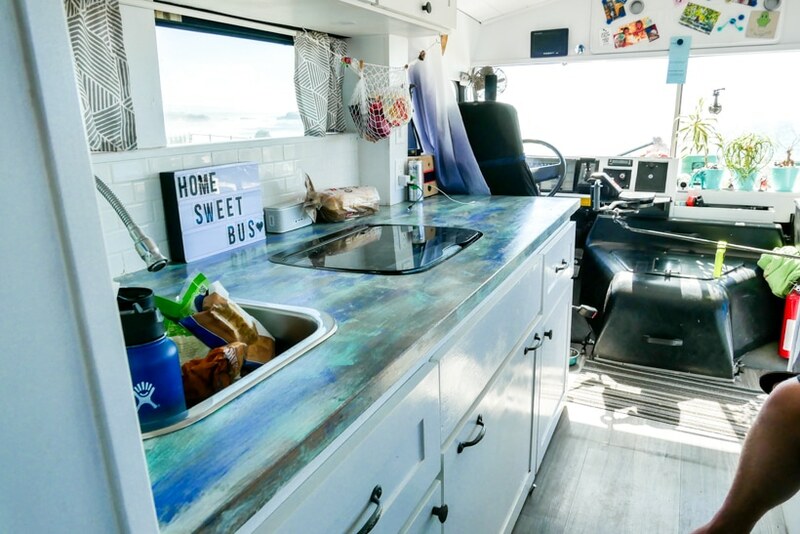 Heather: It is real tile- and the only part that's cracking is the caulk where it connects to the counter, so tile holds up on bumpy, crazy roads. Don't let anybody tell you otherwise. 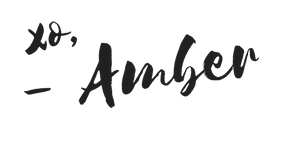 Amber: It's bound to happen with a moving home, right? It looks like you've got some nice lighting in here. 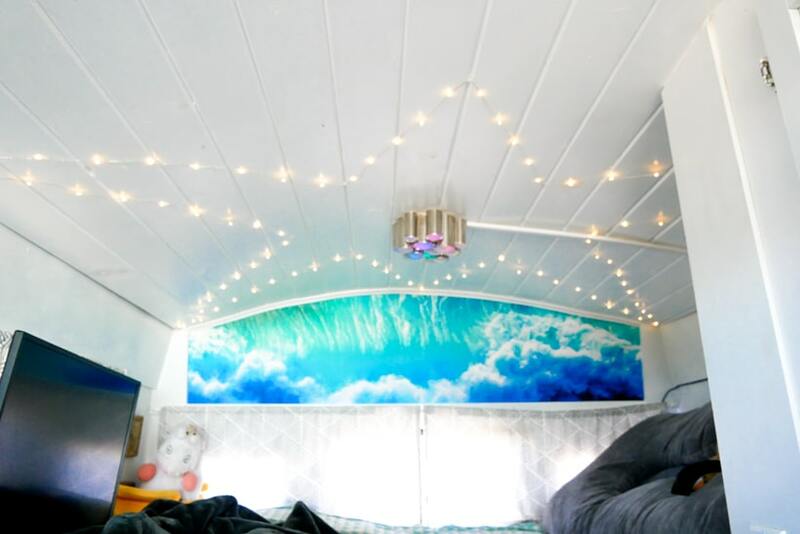 Heather: We have some fun party lights. Amber: Some fun lighting, yeah? Heather: Everything is LED, so it doesn't use a ton of energy. Amber: And you have your couch. Heather: It's also super modular and multifunctional, so we can move the pillows, and then this piece is on wheels, and it moves out like this. Then there's a table that comes up here, and then we have a dinette, or a workstation. Amber: That converts pretty quickly too. Heather: We can do this, and have a super comfy lounge. Heather: Then our computer monitor is actually on one huge swivel arm, so it can come and be at the table to be a workstation, or it can sit in bed and be a tv. That's the living area. Amber: Living. Very functional, converts from living to dining all at the same time, or workstation, right, and office? Heather: Or it's long enough to sleep on. Amber: Do you have many guests? Nick: We've had a couple, or one? Heather: We've had one person who spent three days sleeping here with us so far. Amber: So what about your toilet situation. What kind of toilet do you have? Heather: So our bathroom is behind these lovely mirrored doors that everyone thinks is a closet. Amber: It does look like a closet. Heather: But it's the bathroom. You open it up, and we have one very happy Natures Head composting toilet. Heather: So there's where the other smiley face sticker ended up. We also designed it to be a wet bath with a shower and everything too, so the shower actually hooks in here, and the hot water heater is on the other side of the wall. It kind of comes through this little notch, but we don't ever use it because it would deplete all of our water supply. Usually when we have water there's better showers, and when we don't have water we just stay stinky. Nick: We find other ways to get clean. Heather: We do stay clean, just not with our own shower. Nick: When we say we haven't used our shower, everybody's like, “Oh my God! You don't shower?” You can stay clean without showers. Amber: For sure. 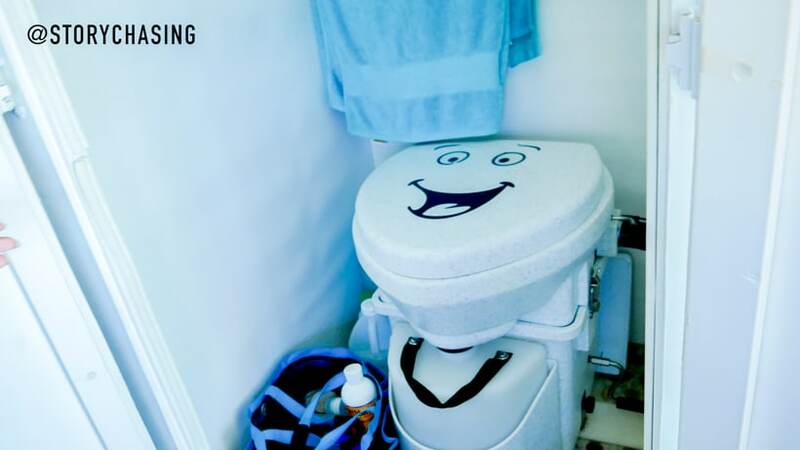 So do you like the composting toilet? Have you had any issues with it? A Lot of people think that they smell really bad. Heather: So it doesn't smell at all. If anything, the pee smells worse than the number two, although we've figured out if you add a little vinegar that kind of takes away all the pee smell, so we don't even really have problems with that anymore. Miles is attacking me, sorry. The most annoying thing is dumping the pee, because we have to do that almost every other day, but the number two section usually we're only dumping about once a month, so that's not bad at all. Then you're just kind of bagging it and throwing it away, versus dealing with a black tank and poo spewing. I don't know, horror stories. Neither one of us has actually used a black tank, but it sounds terrible. Nick: Miles thinks it's terrible. Heather: Miles agrees. So when we were outside, and I yelled at Nick about making the kitchen as big as possible the whole time we were designing it, it's because I actually really, really like to cook. I'm not a person that uses every single burner and every single pot and pan in the kitchen when I cook, so switching to only two burners has been a little interesting. I still am able to make complete meals and delicious things. I just have to be a little more conscientious about how much pots and pans I'm using at once, and how many dishes I'm using. Amber: Have you found it to be relatively easy going from a traditional home to this, since you did make the kitchen bigger? Heather: I think overall in terms of cooking it's been an easy transition, but the thing I miss the most is having dishwasher. Amber: Ah. Do you have an oven? Heather: We don't have an oven. No oven, no microwave. Just stove top, instant pot, and then we have a grill but we hardly ever use it. 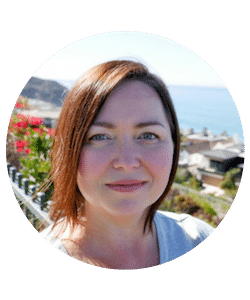 Amber: So now that you've been full time RVing about five months, is there anything that you would change about the conversion of your bus? Nick: Aside from a few small adjustments to how we stored stuff and where we stored some things, we've been pretty dang happy with how it turned out. The main thing though, the one thing would probably be the shower bathroom. We spent a lot of time, effort and money trying to figure out how to set it up in the space we had and keep it waterproof so we could use the shower in there. Since we've never used the shower, that was such a lot of wasted effort, and time and money, so next time we probably wouldn't do that. But otherwise, we've been really happy with how everything worked out. Planter pots are bolted to a board that is bolted to the dash. Heather: It's been really good. I think the whole time he was building it, his goal was how can I build this the easiest way as possible? Then I would come back and be like, “But how is this functional, and how are we going to use this every day?” We really did think about the day to day functionality of it the whole time we were building it, and so we knew exactly how we were going to use the space when we moved in it, versus moving into something that just already was built out, and we had to figure it out. We built it to be what we needed. I think that kind of made a huge difference there. One thing, though, the whole time we were building it, we wanted it to be bigger. Now that we live in it, we think we could live in something smaller. Amber: How long is this bus? Heather: It's 23 feet long on the outside, but it's about 15 feet from the stairs back. Amber: Okay, so that's still a good size, 23 feet. All right. 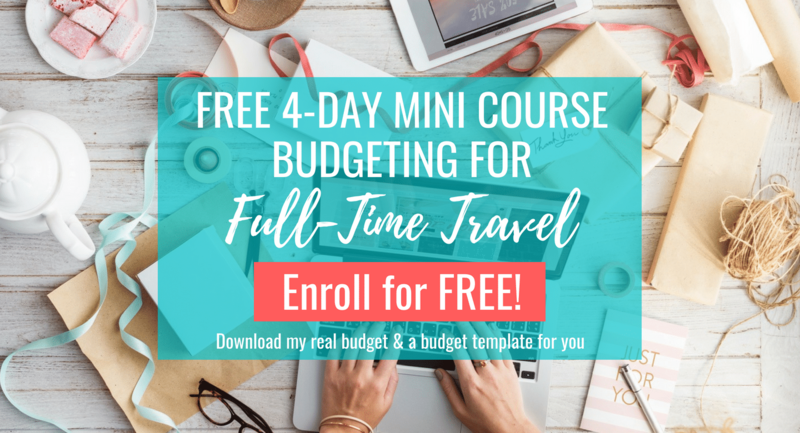 Let's talk about how you are able to travel full time. Obviously, people need money coming in somehow. Are you independently wealthy? Amber: Are you? Oh, good. Okay. Amber: I need to travel with you guys more often. Nick: We saved up a good chunk of money to help us get through this year of travel, or however long we go. Heather is a physical therapist taking a little sabbatical, while I do this versatile segment. I'm still working part-time as a software engineer maybe like 10, 12 hours a week, but maybe bump it up soon. It's been rough to keep the gas in the tank and bills paid. Amber: What are the top three things that you think that are must-haves in order to work remotely? Nick: It probably just comes down to connectivity. We have two hot spots. We have an AT&T hotspot, a Verizon hotspot. We only used a little extra directional antenna for those. We picked up a little more signal until recently, like four and a half months in, we decided it was time to get a weBoost so we could boost our cell signal. That's actually kind of really handy the week we've had it, but number one, definitely, connectivity. Amber: How has your connectivity been since you got the weBoost? Heather: You've done a few different speed tests where we're getting five to seven times the speed with the weBoost, so that's definitely worth it. Nick: Yeah. It was taking signals that were probably not usable for the stuff we needed to do, and made them workable, for sure. Amber: What else would you say about the other two? Nick: Flexible clients. The client I work with is on the East coast, and we are now Pacific coast, so the time zone difference makes it a little more challenging. Plus our travel schedule where we can disappear for a couple days in the middle of nowhere and we spend half the day traveling, or half the day doing all this stuff outside, you've got to have a client … At least in the kind of business I do, you need a client that's a little flexible for that kind of thing. Nick: So you can tune out the rest of the world such as your other two bus mates, and really get in the zone. Amber: So Heather, you are a physical therapist. Do you work on the road? Heather: So right now I am taking a sabbatical, so I stopped working three days before we hit the road, maybe? I think I had a weekend to get the bus packed up. I have not been working on the road, but the plan is to work sometime next year. As a physical therapist, you can do travel contracts, and they usually are 13 weeks-ish, so about three months. We kind of hunker down for three months' work, replenish the bank account, and then go back to traveling. We'll do that as often as we need the income from it, also just to keep up my skills and not just never work again. Amber: Well, I just want to thank you guys so much for showing me your bus, and talking to me about how you guys got started traveling full time. If people want to get a hold of you or get in touch with you to ask you any questions, or just to follow you, how would they do that? Nick: That's pretty easy. 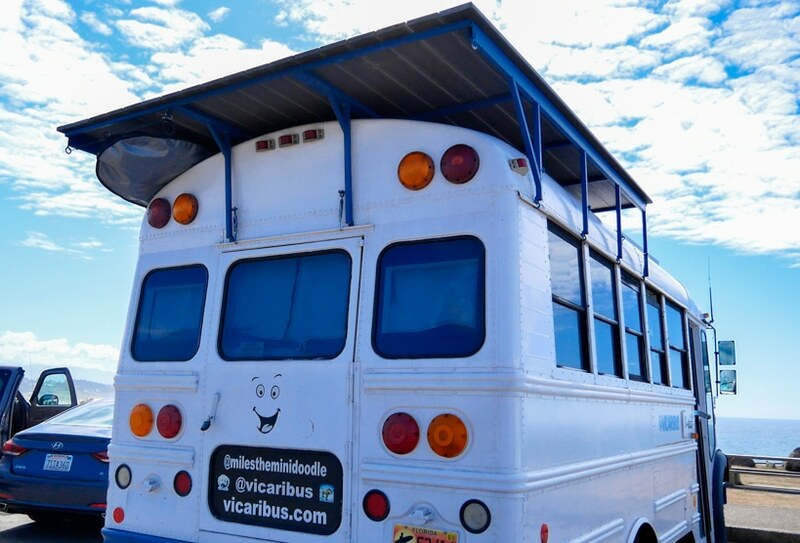 We are everywhere that you can find anyone under the name Vicaribus. 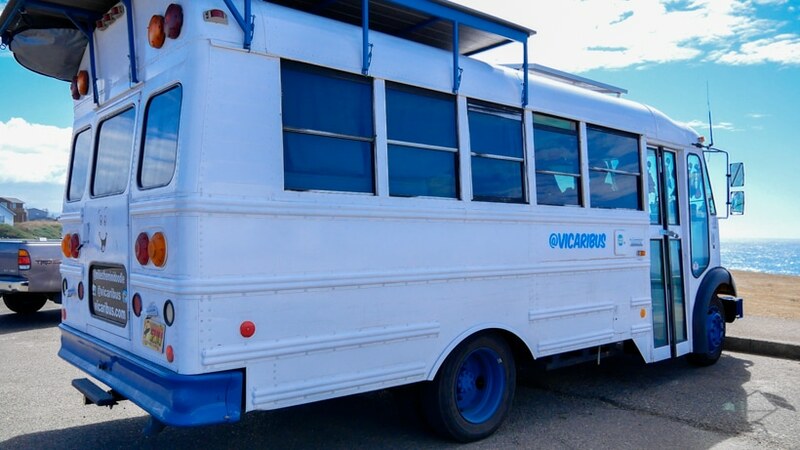 We have vicaribus.com, that's our blog, and we keep track of where we've been, and what we're doing, and put up photos and stuff, and a lot of little posts. 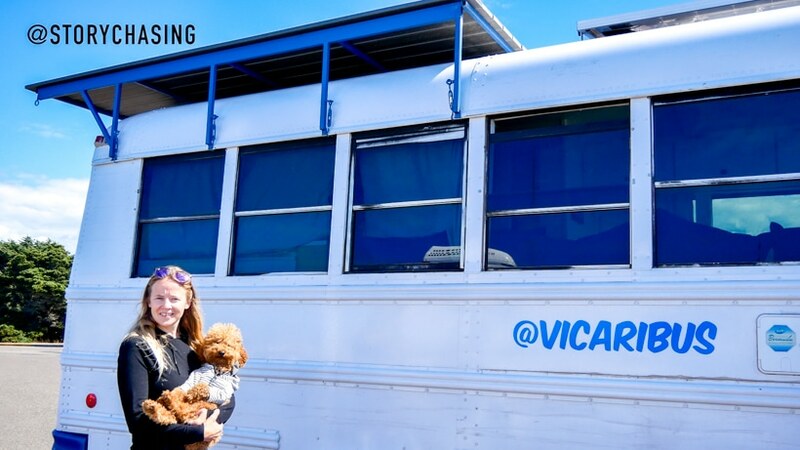 We are on Instagram under Vicaribus, Facebook under Vicaribus, and YouTube under Vicaribus. Amber: All right. Thanks, guys. 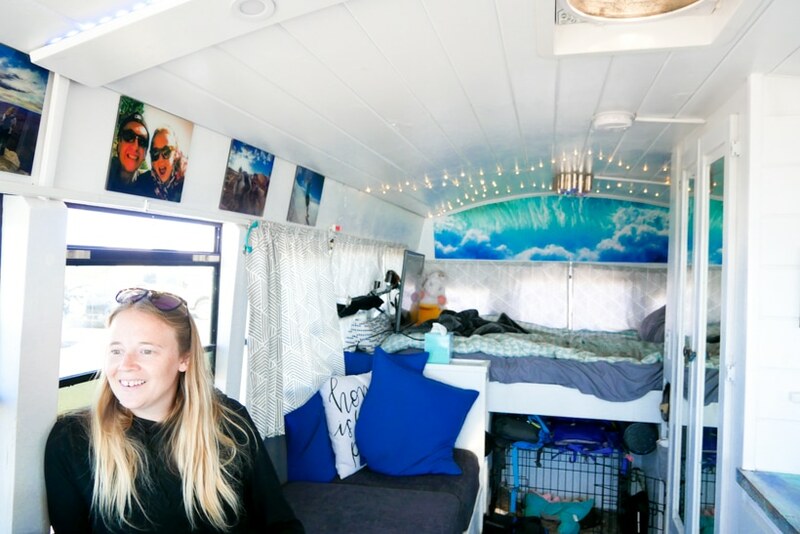 Have you thought of a school bus conversion to travel in or build out a tiny home? What are your thoughts on this idea? 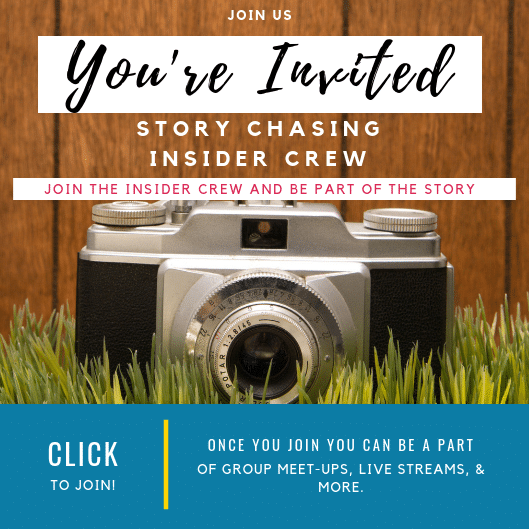 Kick off with the Story Chasing Insider Crew where you can join a private community with others learning how to travel, RV, or who want to be a part of the fun. You can join the live stream videos to ask anything you want. Early access to video content and bloopers. Be invited to private group meet-ups. Gain access to photos and videos I don't share on social media. Access to live real-time updates. I am crazy about that sweet dog she is holding! He's like a little baby in her arm! So cute! Maria – I know!! Miles is a cuddly boy and super sweet. He just sits there!